The Spa business has been growing rapidly over the last few years. It is one of the biggest global growth industries. The Spa Book offers a comprehensive, exciting and unique look at the spa industry, bringing together all the elements of spas in one educational text. The Spa Book is written to cover the NVQ Level 3 standards for spa treatment units, as set by Habia’s Expert Working Group. 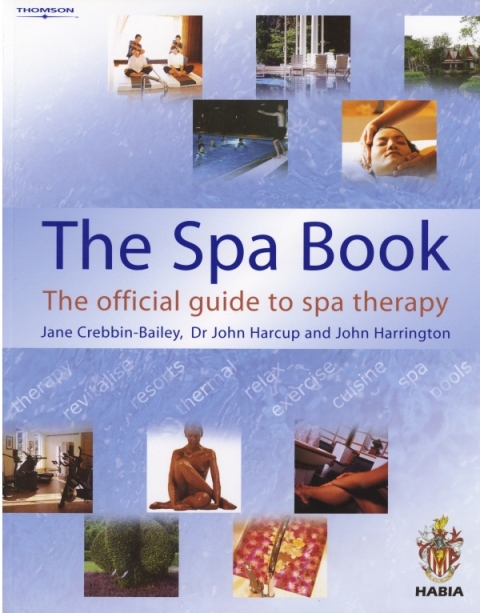 Covering essential topics such as spa health and safety, treatments and procedures and illustrated with over 70 images, the book is suitable for both NVQ and degree-level students taking courses in spa therapy, as well as being a useful reference tool for professional spa therapists and instructors. Step-by-step descriptions of current spa equipment and treatments. Chapters on the history, physiology and psychology of water plus spa design and marketing & operational procedures. Basic health & safety, including: consultations, first aid, contra indications. Spa hygiene and maintenance, is also covered. Summaries and key points throughout. Packed with photographs and illustrations.